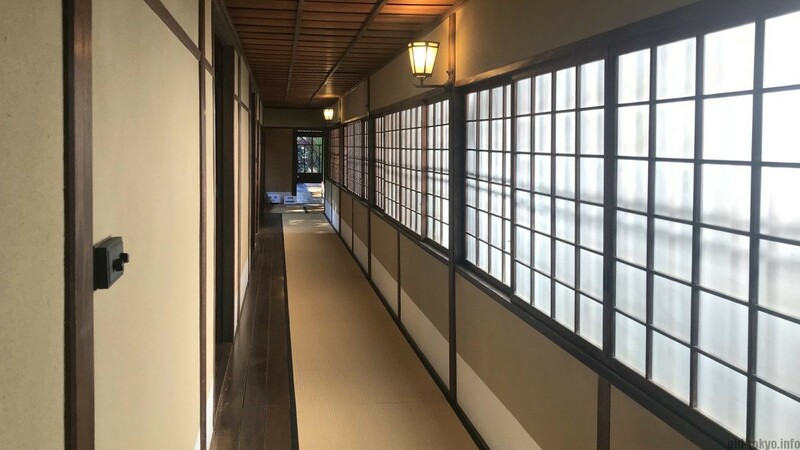 The former residence of Kusuo Yasuda is one of the few large traditional houses remaining in Tokyo. Built in 1919, just as the Kyū-Asakura house, it survived Tokyo’s two main disasters of the 20th century. This two-story wooden building is built in Japanese traditional style, making the most of the long and narrow plot it occupies. This results in a long-shaped garden and the house in a zigzag shape. The house is open to visit on Wednesdays and Saturdays. There are many volunteers present who will give you a detailed tour of the house (an English guide is also available most of the time). These volunteers not only do a great job explaining about the house, they also play an important role in keeping this house open to the public. The citizen group for architectural preservation (The Bunkyo Link for Architectural Preservation) also supported the donation to the Japan National Trust in 1995. The protection and attention to preservation of these kind of houses is a rather recent phenomena. 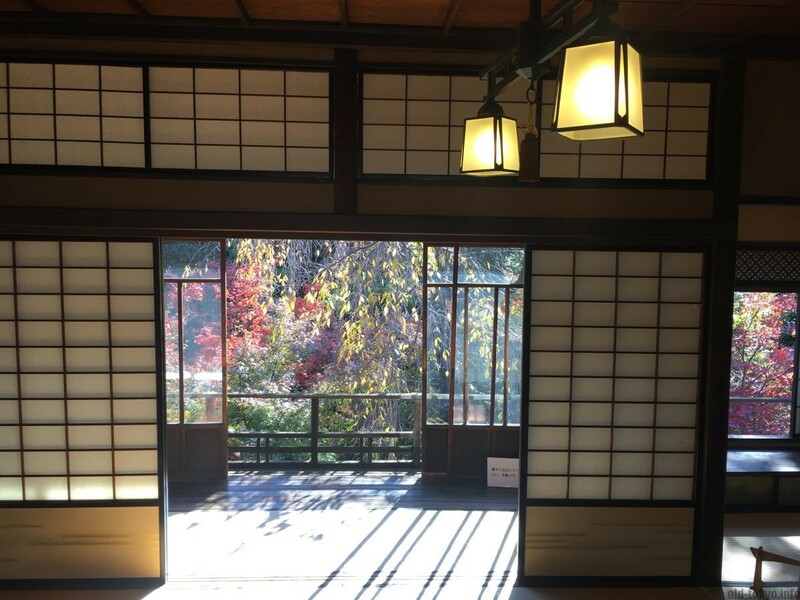 The Yasuda House has been designated in 1998 as a Place for Special Beauty, and only opened to the public in 2007. 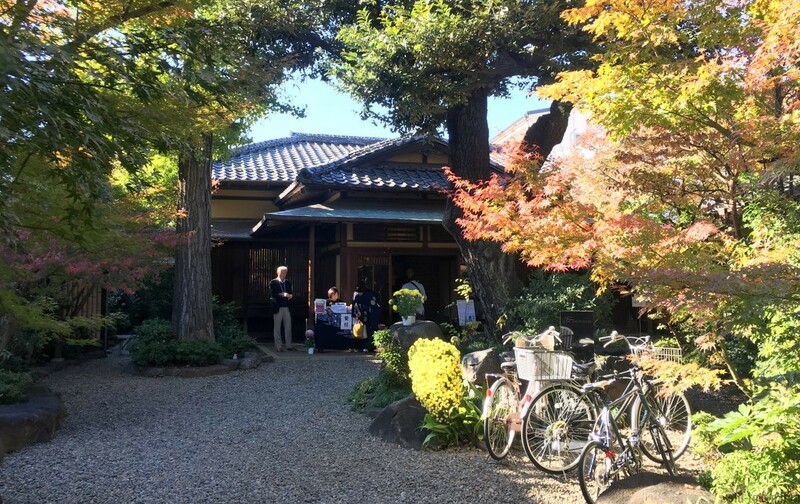 The house was built in 1919 for Yoshisaburo Fujita, a leading businessman, but was sold after the 1923 Great Kanto Earthquake to Zenshiro Yasuda, son-in-law of Zenjirō Yasuda, the founder of the Yasuda Zaibatsu. This financial conglomerate was one of the four major zaibatsu of Imperial Japan, next to Mitsubishi, Mitsui and Sumitomo. The Yasuda Bank grew to become Japan’s largest bank by the mid 1920s. The zaibatsu was dissolved after World War II, but its core banking business lived on through the Fuji Bank, and since 2000 as Mizuho Bank though a merger. On a different note, most people know at least one famous person related to the Yasuda clan: Yoko Ono’s great-grandfather was Zenjirō Yasuda. Kusuo Yasuda, the first son of Zenshiro Yasuda, inherited the house and lived here until his death in 1995. The garden is key in this house. 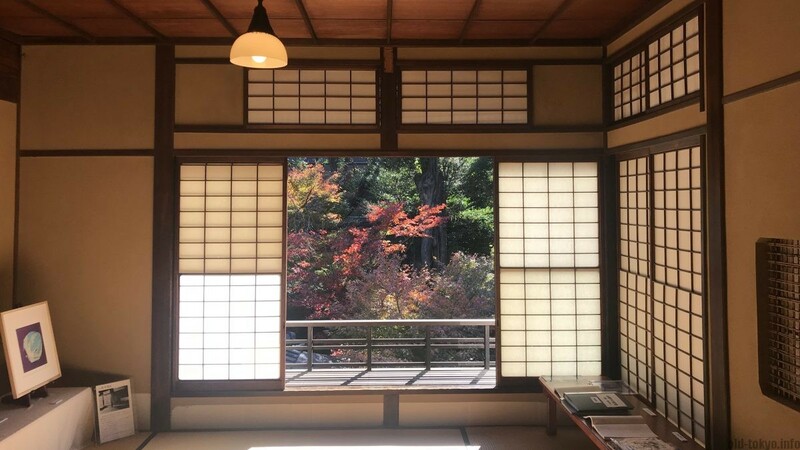 Like most if these traditional houses, the garden is best viewed from inside the house, so much so that each room has a different perspective that evokes a different setting. The garden is designed in the dry-landscape style, giving you the impression of a pond, waterfall, stream and thick foliage. The best views are from the formal reception room (zangetsu-no-ma) in a seated position. From this position you will see a rocky valley with a waterfall and a stream. Main entrance and waiting room: the main entrance for special guests, suggesting high status of the owner of the house. Western-style formal reception room: in the Taisho era (1912-1926) no house was complete without a Western style room, comes complete with vintage record player. Japanese-style formal reception room first floor (zangetsu-no-ma): room inspired by the Zangetsu-tei (tea house) at Omote Senke tea master’s residence in Kyoto. In the alcove you can often find the Yasuda’s family doll collection (not though during my visit). 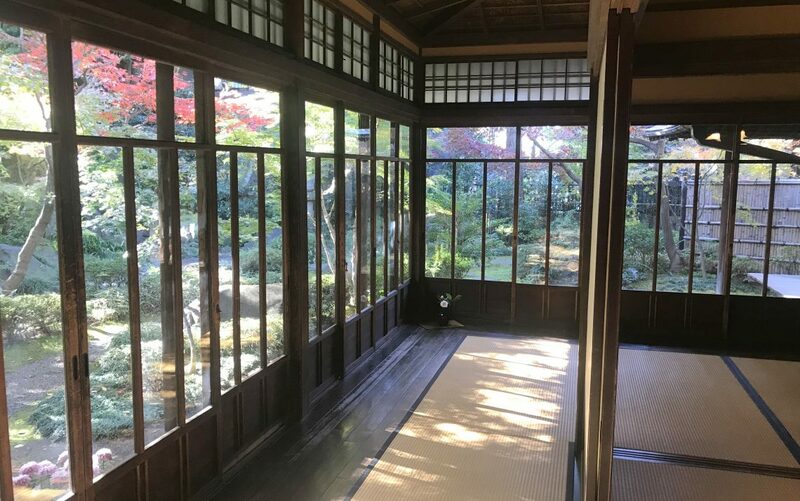 Living-dining room (cha-no-ma): A more informal room, with small windows inside the shoji (latticed paper sliding doors) in order to have a garden view. Kitchen: one of the prettiest place in the house with its roof windows and beautiful cupboard that opens both sides. Bathroom: no bathroom is complete without a hinoki bathtub (cypress wood). Extra room second floor: additional tatami room that is used now sometimes for exhibitions. Japanese-style formal reception room second floor: one of the main rooms in the house with beautiful wooden inner balcony and great views of the garden. The right hand side of the room has a small nook which is a study room. From this room you have excellent views of the weepy cherry blossom tree. The corner pillar of each of the display alcoves (tokonoma) is different depending on the usage of the room. You can read the status of the room depending on this, also other clues are available such as the height of the ceiling. Intricate woodwork can be found all over the house, also in the celings where often plaited slivers of wood are placed (called ajiro). 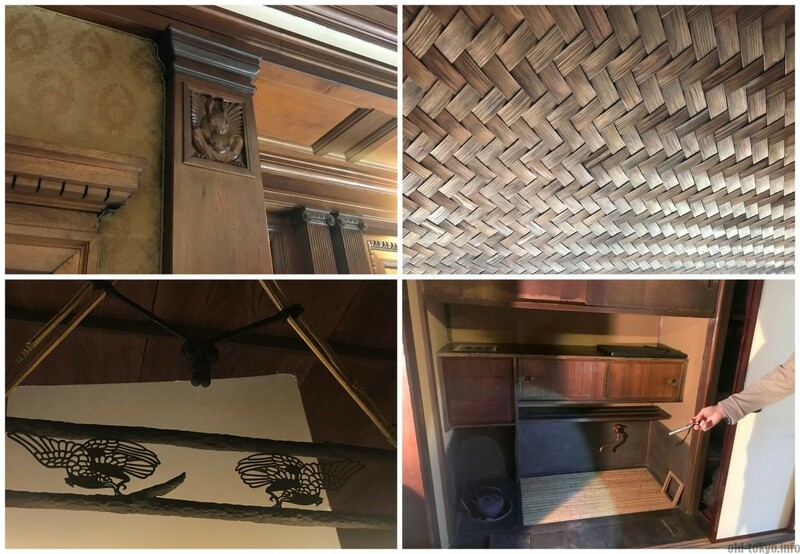 The top part of the room, such as the study on the second floor also have very nice wooden artwork, so do not forget to look up! Animal motifs (mainly birds, but also others) can be seen all throughout the house in wood carvings, lamps and more. Animal motives are often seen Japanese art, but I have the feeling there are more here than any other house I have seen so far. You can find out a lot more about this house by visiting it yourself. There is a 8-page detailed brochure in English available at the reception desk, and your guide will no doubt tell you much more. Opening hours: 10:30-16:00 (last admission 15:00) ONLY ON WEDNESDAY AND SATURDAY. Closed during mid-August (ca. 10 August – 18 August) and the year-end and New Year holidays (ca. 21 December – 5 January). If you want to plan your visit, have a look at the Japan National Trust website (in Japanese, under 一般公開日時) for the latest schedule information. The house is scheduled to close temporarily in autumn 2018 for reinforcement works to make it earthquake resistant. When to best visit? there is a weepy cherry blossom tree in the garden, which makes a spring visit during the sakura season a must. I visited during autumn, with some nice coloring of the leaves. A winter visit might best be avoided as the garden will be less attractive and as there is no heating, your feet will be very cold (even though a couple of small heaters and heated mats are present).